Make the most of your Crocker membership! So many FREE programs are included when you join! When you join the Crocker, you make an investment in the intellectual and cultural vibrancy of your community — and you get something, too! Here’s just a taste and whats FREE and upcoming for Museum members. Register in advance at crockerart.org to reserve your spot. Join an in-depth examination of a single work of art. Discover the essence of the Crocker’s permanent collection. Learn about the Crocker family and the era during which they lived as you journey back in time on this special holiday-themed tour. Discover the essence of the Crocker’s permanent collection in this tour offered with American Sign Language interpretation. Never the same tour twice, New on View dives into the latest exhibitions and newest works of art. 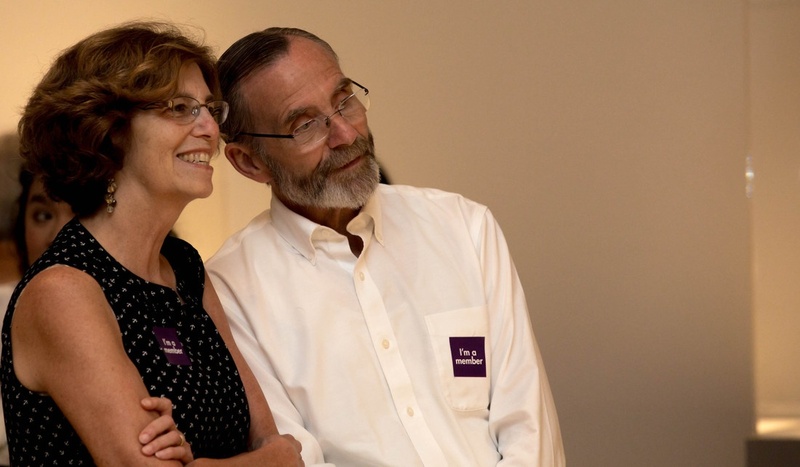 Guests with chronic pain and those who serve as caregivers for patients or loved ones facing the end of life, along with their guests, are invited to enjoy facilitated group conversations about art with a trained docent. Advanced registration is required. Gather in the Crocker’s ballroom and be guided through a gentle, 45-minute yoga flow with vocals and healing sounds created by an experienced sound meditation instructor. Sacramento Poetry Center Presents: "Reverberation - Poetry, Music, Translation"
The Crocker Art Museum together with the Sacramento Poetry Center present live performances by our region’s favorite poets and pan instrumentalists. Two of Sacramento’s powerhouses join forces once again to present U-Nite, a celebration of art and culture. Join us for a presentation by UC Davis Professor Dr. Ian Koebner, exploring the potential role of museums as partners in public health. UC Davis Human Rights Film Festival Presents: "Women of the Venezuelan Chaos"
The UC Davis Human Rights Film Festival presents "Women of the Venezuelan Chaos". Embodying strength and stoicism, five Venezuelan women each draw a portrait of their country as it suffers extreme food and medicine shortages, a broken justice system, and widespread fear. An audience Q&A will follow the screening. Sketch Night is back! Enjoy informal instruction or relax in your favorite spot to sketch. Feel free to bring your own sketching pad; basic sketching supplies are provided, but supplies are limited. All ages and drawing levels are welcome. Children on the autism spectrum and their caregivers are invited to a special morning of artistic exploration. Starting before public hours, children will have a chance to participate in art activities, gallery experiences, and music therapy, all at their own pace. Free for children ages 3 - 12, and caregivers, with advance registration. Calm your mind, and experience the art of the Crocker in new ways with long-time meditation practitioner and instructor Ian Koebner, Ph.D., and Adult Education and Art Access Coordinator Erin Dorn. One of Sacramento’s best annual events, families are invited to count down the New Year at noon at this free and fun celebration. With live music from around the world, dance performances, festive art activities, and surprises throughout the Museum, this is one New Year’s celebration everyone can stay awake for. For a full look at Crocker programs and classes in September through December, don’t forget to check the calendar!